On first anniversary of tougher penalties for mobile phone use while driving, road safety organisation GEM Motoring Assist launches wide-ranging survey to gauge public mood on a number of road safety, driver behaviour, health and other motoring issues. Road Safety and breakdown organisation GEM Motoring Assist says it’s time every driver accepts that using a mobile phone while at the wheel is not only illegal but also far too risky. The call comes as GEM launches a survey to establish the latest thinking when it comes to road safety, driver behaviour, driver health and other current motoring issues. The current penalty of a £200 fine with six penalty points was introduced on 1 March 2017. As part of the consultation, GEM is seeking opinions on how effective this has been, and whether more severe penalties would be appropriate. Figures released by the Department for Transport reveal there are still unacceptably high levels of illegal phone use among drivers, with 37% of drivers believing the chance of getting caught is minimal, and 52% not concerned about the impact of getting caught. GEM’s short ‘Kill the Conversation’ video sets out details of the offence, the risks and the penalties. GEM road safety officer Neil Worth says holding and using any device while in control of a car is a potentially lethal distraction. 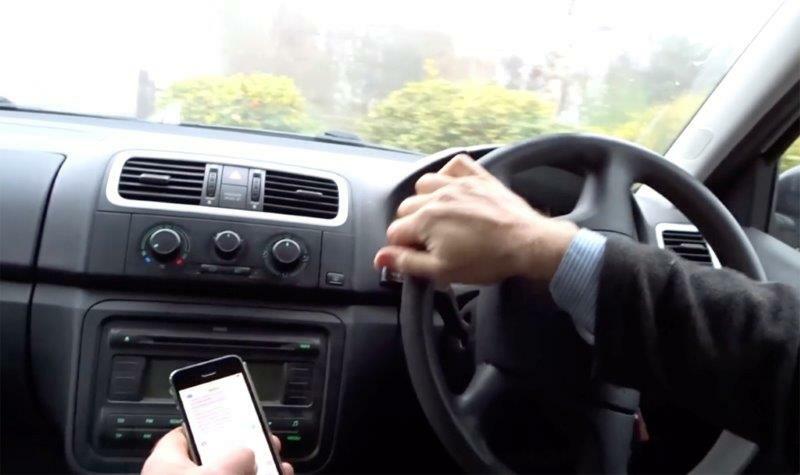 He appeals for all drivers to understand the unacceptable level of risk that goes with using a phone while at the wheel. “We are seriously concerned by the arrogance of so many drivers who appear unconcerned about being caught and the impact it will have on them,” he says. “We urge them instead to ‘kill the conversation’ and to remove the dangers their actions have created, both for themselves and for others. “Using any mobile device while driving is a massive distraction, first of all because of the physical tasks – such as keying in characters on your phone or scrolling through information. “It’s also mentally distracting. You only have 100 per cent concentration, so if you allow yourself to take part in a conversation or try to read and respond to data on your phone, you’re seriously reducing your ability to focus on the journey, on the road ahead and on the hazards that may be developing. “You wouldn’t do it with a police officer watching… so ask yourself is there anything that makes it any less risky or foolish just because the police aren’t there? The answer is no. It is irresponsible and puts not only your own safety at risk, but the safety of those who happen to be sharing the road space with you. The GEM 2018 Driver Survey is open not only to members of the organisation but to anyone who may wish to comment on a variety of road safety and motoring topics. Although the survey itself is entirely anonymous, everyone completing it is invited to put their name forward for inclusion in a £150 cash prize draw. You’re allowed to use a mobile phone when you are safely parked, with the engine off and the handbrake on. Please do not pick up your phone in any other driving situation, including when you’re stationary at traffic lights or queueing in traffic. The only exception to this is if it’s an emergency and it would be unsafe or impractical to stop, in which case you may call 999. Don’t assume that using a hands-free kit means you have dealt with the risk. You are still allowing yourself to be distracted from the task of safe driving, and you could still be prosecuted for not being in control (an offence that carries a £100 fine and three penalty points). Take a few minutes before a journey to make important calls or to check voice messages and emails. Work together with friends, family, colleagues and work contacts to remove the expectation that we should all be available, all the time. Plan journeys to build in breaks from driving, where you can call, text or email or interact with social media in a safe environment.